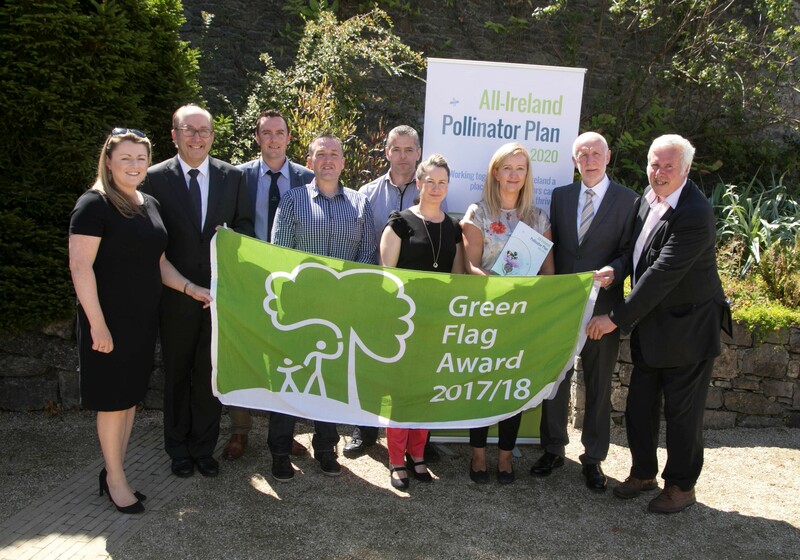 This year’s Green Flag for Parks Awards saw the introduction of the Pollinator Project Award for those parks that have made a specific effort to support local pollinators or to promote their importance. This award is jointly run by An Taisce and the National Biodiversity Data Centre to support the All Ireland Pollinator Plan, and is kindly sponsored by Young Nurseries. While there were pollinator project awards across different park categories, it was the Victorian Walled Garden in the Phoenix Park, operated by the Office of Public Works in Dublin, that was the overall winner. This site features not only pollinator-friendly planting and nesting areas, but also makes a great effort to educate the public through workshops and talks, and through its website and social media. Two other pollinator awards were presented – for Best Country Park to Castletown House Demesne & Parklands, managed by OPW; and the award for Best Town Park went to Lloyd Town Park in Tullamore, managed by Offaly Co. Council. Pictured from left: Rosemary Collier, Principal Officer, OPW, Maurice Buckley, Chairman, OPW, Paul McDonnell, Park Superintendent, Phoenix Park , Declan Bermingham, Landscape Foreman, Phoenix Park, Brian Quinn Gardener, OPW, Meeda Downey, Gardener, OPW and Juanita Browne, Pollinator Plan National Biodiversity Data Centre, John McMahon, Commissioner, OPW and Peter Cuthbert, Environmental Consultant.